Last weekend was GLORIOUS... for those of you that were hunkered down in below freezing temperatures, I'm so sorry, that sounds terrible! While you were bundled up, thinking there's no way I'm going to survive it this time, I was hanging out in the 2-1-0 with my wonderful family, cooking, laughing, and relaxing. Last weekend was a reminder of why a couple of weeks ago I was so homesick. There's just something about going home. Last week at work we were talking about this concept of home, and someone made the comment that "home" is where I feel most relaxed. I couldn't agree more! I love my cute, tiny D.C. area apartment, but D.C. isn't home. In all honesty I think everyone who lives here feels that way, I don't think I'm alone on that, but I have been there almost 4 years now, you'd think by now I'd consider it home, but nope. Home is where the tortillas are fresh, fresh ice tea is flowing, the streets are packed with happy people, where you can have bean and cheese tacos every morning if you want, and where the salsa isn't on an aisle in the grocery store labeled "hispanic foods"... really? So a couple of weeks ago when I was feeling a little homesick, I searched - in 3 stores - for some masa so that I could make some homemade corn tortillas and some fresh tacos or chalupas. Yep, I had to go to 3, count 'em... 1-2-3, grocery stores, but I finally found some, it wasn't exactly what I was looking for, but it worked! I thought it was so cute when my grandmother asked me what kind of masa I picked up, my response was "THE ONLY KIND THEY HAD!" Looking back, I might have been a little sassy, but seriously... 3 stores. 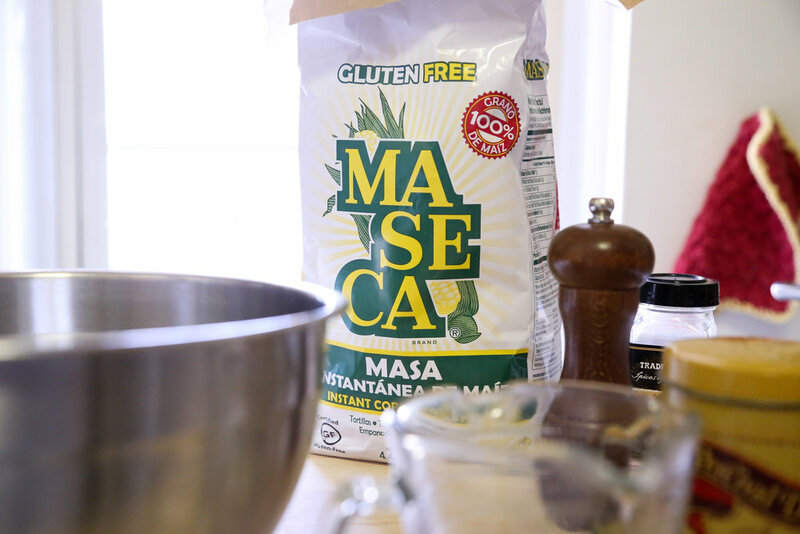 When I got back to my apartment, I was so thrilled to have finally found the masa and was so excited to make some tortillas, I dropped everything I was planning for the day and headed into the kitchen. 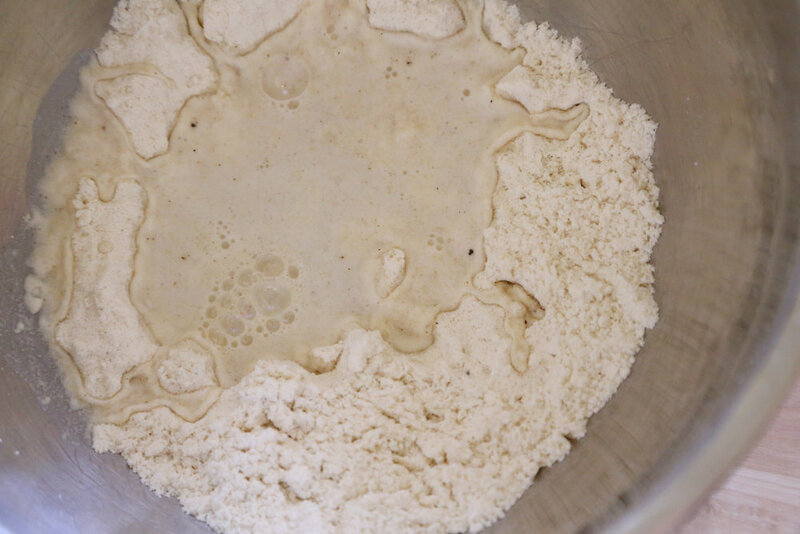 I decided there are other remote San Antonioians out there, and maybe they'd enjoy a great recipe for homemade tortillas too so I grabbed my camera, and here it is, your very own recipe for homemade corn tortillas. Honestly, they are so easy you'll never have to buy those packaged, bland, store-bought corn tortillas again. 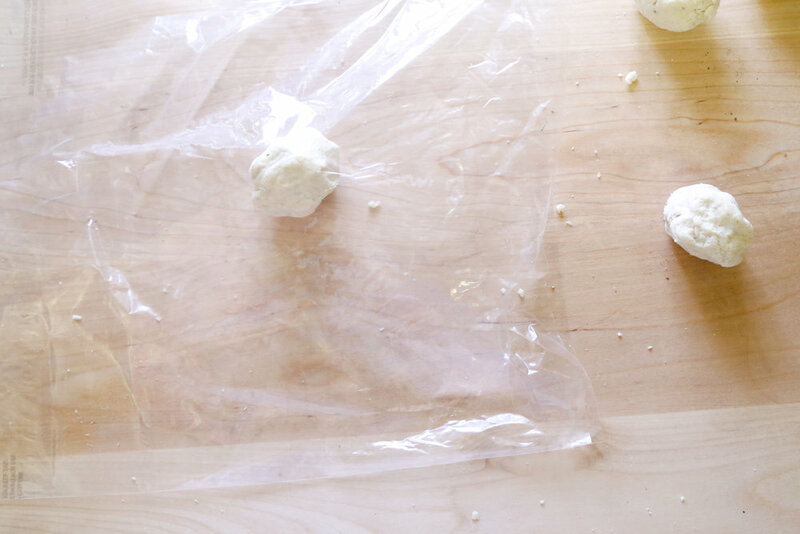 The recipe below can easily be doubled or quadrupled so make a few and keep them uncooked in the fridge in plastic wrap and make them as you need them! The recipe you see below works great for 4 mini tortillas or 2 regular size tortillas. If you're going to use them to hold some more substantial fillings I would add a little more water to the recipe so that it's more of a play dough texture. I wanted to make mini chalupas, so the more dry dough works a lot better if you're wanting to get it crispy-ish without frying. 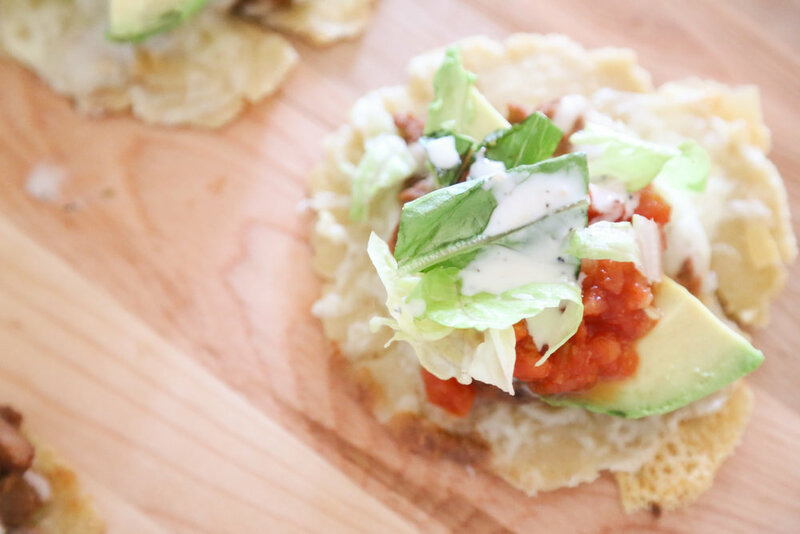 These tortillas couldn't be any easier to throw together for a last-minute dinner for two or a cute appetizer when you have friends over to watch the game or an Oscars party perhaps? Give them a try and let me know what you think! Start by making the tortillas, pay attention this is so hard... no but really this is one of the easiest things to make, I'm never buying corn tortillas again. 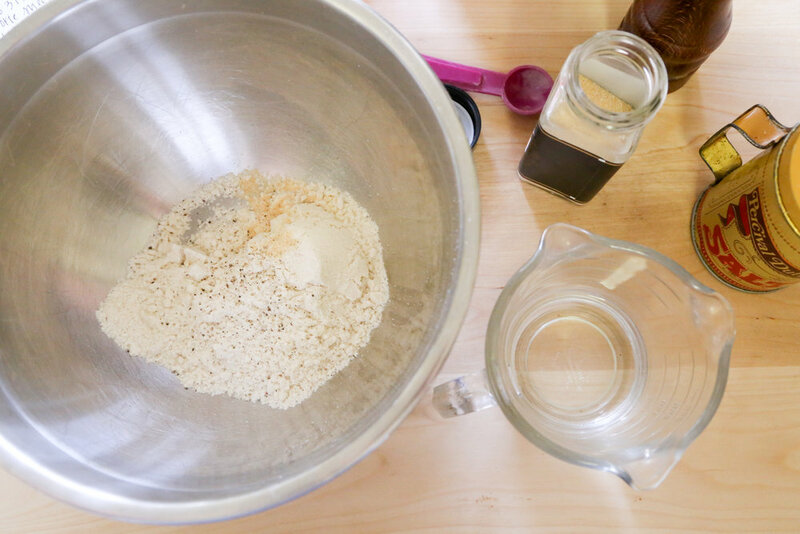 You might have to get your hands a little dirty, keep adding water little by little until a soft, playdoh like dough forms. It should be fairly wet, but not sticky. 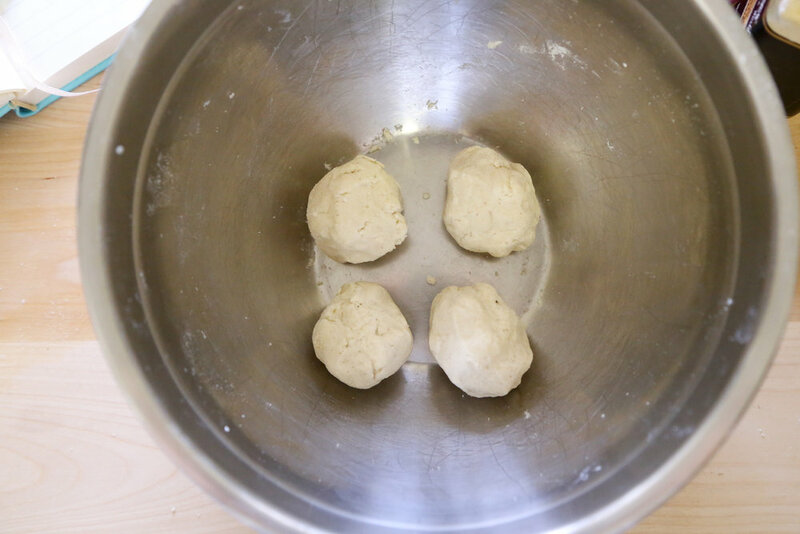 Make 4 small balls, 3 medium size balls, or 2 large balls of dough. A while back I accidentally bought these plastic storage bags that used twist ties instead of ziplock, and they're great! It was one of those oh darn...ooooh yay purchases - anyways, using plastic wrap/plastic bag of some sort and a heavy pan or tortilla press, press out your tortillas! See those flakes of black pepper? I think the biggest mistake people make is not seasoning their tortillas when they make them. It's key! Don't skimp on the salt or pepper. Next, it's time to cook them, heat a pan over high heat, once it's good and hot throw in your tortilla. Let it cook for about a minute or so on one side then flip, let it cook a minute or two. You’ll know it’s done with the edges are white all around and it looks like it’s an even color. Now for the fun part, the mini chalupas! I like to start by re-frying my canned refried beans and adding a little garlic powder and pepper - start by heating up some olive oil. 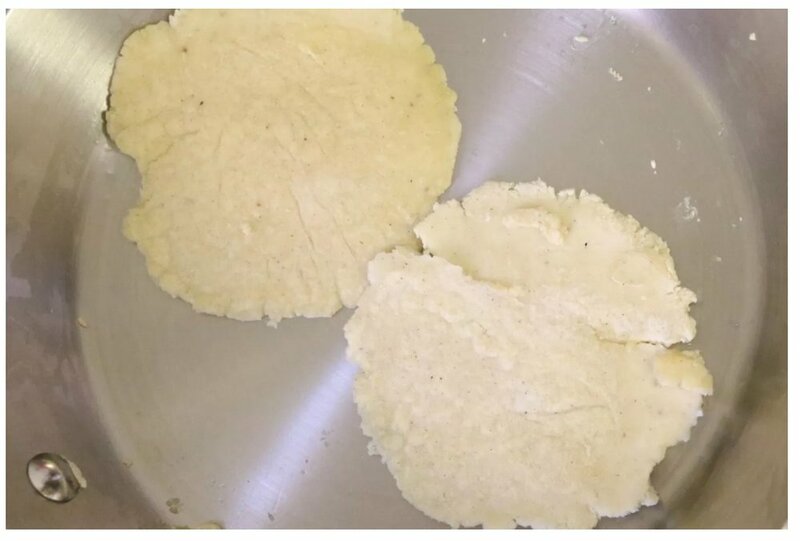 Take your tortillas and make them a little more crispy, do this by adding oil to an oven safe pan, getting it nice and hot, and then cooking the tortillas for a little longer. The tortillas won't get super crispy unless you actually fry them, but they'll firm up just enough for a little crisper texture. Turn off the heat and preheat the oven to 450. Layer beans and cheese on the tortillas and then stick them in the oven until the cheese nice and melted. 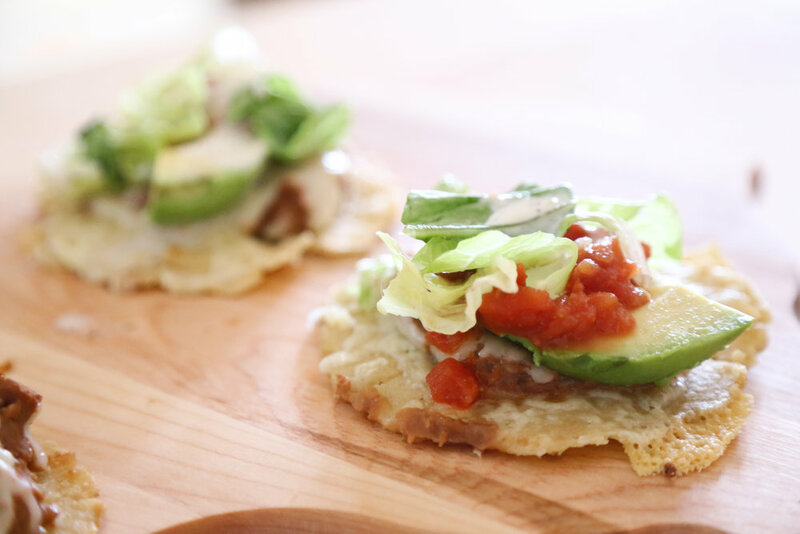 Top the beans and cheese with fresh avocado, lettuce and salsa. I know it sounds crazy, but instead of sour cream I like to throw on a little peppery ranch. I hate keeping sour cream in my fridge because I never use it, but I always have some of the Trader Joe's fat-free ranch. It's great, really peppery and good! It's the only store-bought dressing I'll use. How easy was that? I hope you try them. If you do, snap a pic, I love getting messages with pictures of a recipe you've tried! 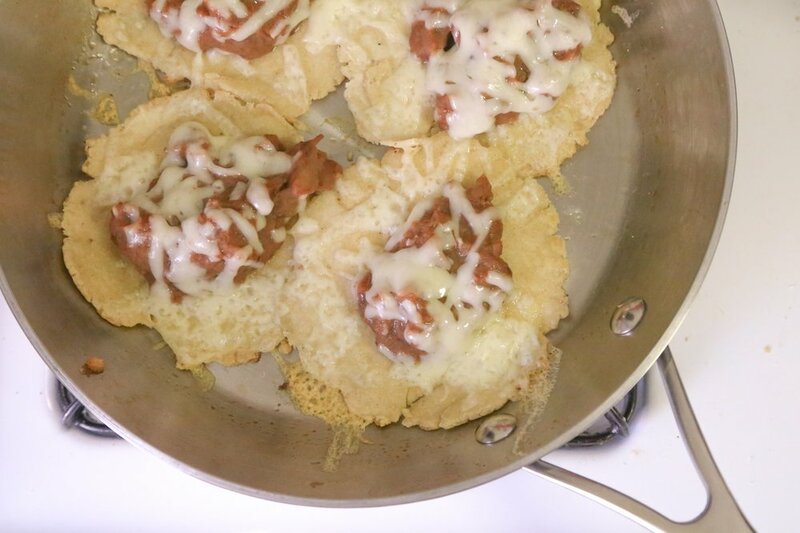 For chalupas – re-fry canned refried beans in some olive oil, add a little fresh pepper and garlic powder. 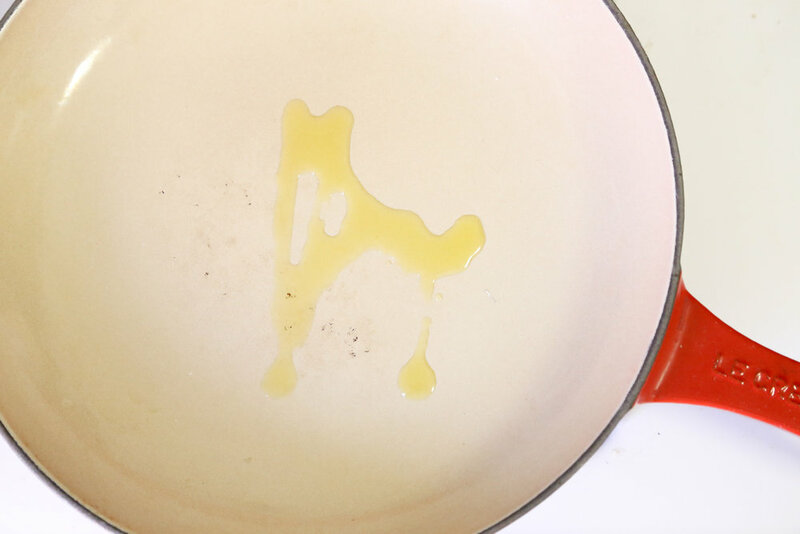 Re-heat and crisp up the tortillas by cooking in a hot, hot pan covered generously in oil. Top homemade tortillas with beans, freshly shredded cheese, and heat in a 450 degree oven until the edges are golden and the cheese is melted. Top with fresh avocado, fresh lettuce and salsa. Add a drizzle of sour cream or ranch dressing for an extra kick.